The Eco Club Network/Te Ohu Kakariki is an on-campus network which aims to improve the coordination between UC's many eco clubs and events. The combined membership of all eco-clubs is in the hundreds - that's a lot of potential to create change! If you are setting up a flat or want to fine tune your existing home, here is the Eco My Flat guide with lots of tips and tricks for making your home sustainable. We all need to learn how to reduce the impact of our lives on the earth. Changing day-to-day behaviours and habits (no matter how small) and sticking to them for a lifetime can make a real difference over the years. Eco-living can also often cost a lot less, and requires creative, innovative approaches to everyday household issues. Tertiary students are an ideal group to lead that creativity, while saving a few bucks for their back pockets as well. Following on from a UC Summer Sustainability Scholarship project in 2008/09 Tomorrow's offices at the University of Canterbury (PDF 85KB), the UC Sustainability Office has developed an Eco-Office Programme to help all office users on campus make their work places more sustainable. This programme involves a network of people interested in sustainable office practice, sustainability assessment forms and a certification process so that your office can formally get on the sustainability journey. Read the UC Eco Office Guide (PDF 1.7MB), which was created in 2010 by UC office users, and updated in 2014. This guide provides lots of tips and ideas for greening your office. Many of these are relevant to the Eco Office Certification process. Read How to Grow an Eco Office (2012).This short guide provides some practical tips and ideas on how to positively influence the social world of work so that the people around you choose to change voluntarily in their own time. Join the UC Eco Office Network. If you are interested in joining our Eco-Office Network, please email the Sustainability Office. Get UC Eco Office Certified (see below). If becoming Eco-Office certified is feeling a little ambitious, there's still lots of things you can tackle to 'green' your office bit by bit. How do we get our office 'Eco-Office Certified'? Nominate an 'Eco Office' champion or small working group to champion the certification process. Read the brief UC ECO Office Certification Introduction. It is very important your whole department or group are aware of, and participate in the assessment and certification process. Tell them about it at an all-of-staff departmental or group meeting, and invite them to contribute to both of those processes. Complete the UC Eco Office Sustainability Assessment, fill it out and send it back via internal mail to the Sustainability Office. This provides important baseline information for the Sustainability Office to identify any key issues or barriers to the Eco Office programme. Get your co-workers to copmplete the UC Eco Office Application and send it to the Sustainability Office. Complete each stage of certification. Note that some of these actions apply to, and require a whole-of-group response. Other actions apply to specific functions of a department. There are four stages of the unfurling fern frond (below). Start by clicking on Stage One and see what's required. Please include notes as to why any of the items are not relevant to your office, or any barriers to acheiving individual actions. These issues will be acknowledge by, or negotiated with the Sustainability Office. It is recommended that your office aims to complete each stage in full before attempting the next stage. Send each form as it is completed to the Sustainability Office for auditing. Your office will be awarded an Eco Office Certificate! For further information about Eco Office contact the Sustainability Office. The University of Canterbury (UC) Sustainability Community is a network for students and staff who share an interest in issues to do with sustainability. Its aim is to bring together people from all parts of the University with varying interests and expertise to share ideas and inspiration for creating a more sustainable future. Join the UC Sustainability Community by completing this join up-form. There are some very simple things everybody can do (staff and students) to be part of a sustainable campus. These are listed below. Reduce your carbon emissions; catch a bus or hop on your bike to travel to university. Learn how to use our recycling system properly. Learn how to grow yum organic veges at UC's community gardens. Bringing your lunch? Minimise wrapping and packaging as much as possible. Buy Fair Trade beverages and vegetarian food from campus cafes. Join an Eco Club or sign up for the Eco Office. Help reduce our waste measurements; use a reusable drink bottle or coffee cup. Running an event? Check out our Green Event Checklist or contact the Sustainability Office for advice. Join the Sustainability Office Facebook page. Sign up for the Sustainability Office newsletter. Become involved with Sustainability at UC and help make a difference to our campus! Eco Volunteers assist the UC Sustainability Office to increase and promote campus sustainability. Activities include assisting with sustainability events, communications, and campaigns around waste minimisation and management, Fair Trade, sustainable transport, and sustainable living. 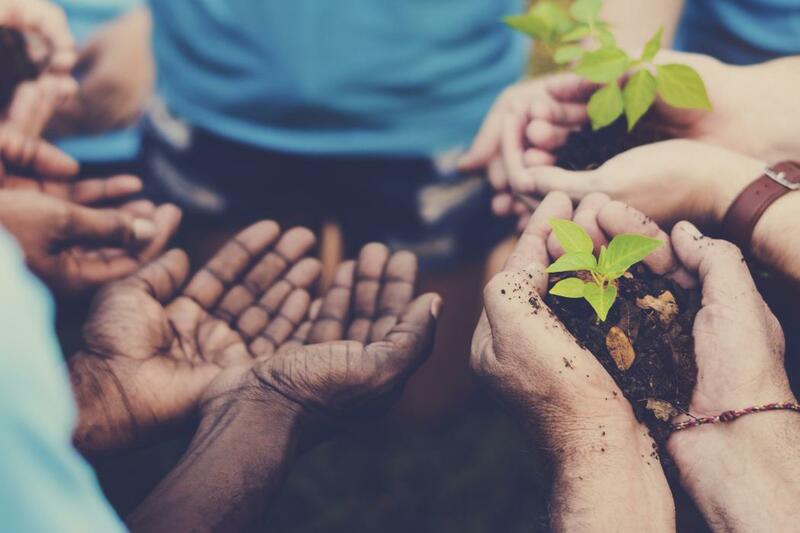 Through becoming involved as an Eco Volunteer, you’ll have the chance to be involved in sustainability related events and campaigns, meet like-minded people, and be a part of the sustainability community at UC. Each of these themes has its own set of events, campaigns and communications that we need help with throughout the year! In the sign up form below, please tick which themes are of interest to you (you can choose as little or as many as you like) to receive information that is relevant to you. You’ll receive emails about upcoming events and activities that we need help with, as well as the next Eco Volunteering meetup (these usually happen 2-3 times per term). This work may be eligible for your Co-Curricular Record (CCR). Eco Volunteers may also be eligible for recognition through UC's Co-Curricular Record. This is a great way to get your voluntary work recognised formally and included as part of your formal University transcript. Students need to sign up to the UC CCR programme and select Eco Volunteering.